ACCESS: 1 km of white road in excellent condition. 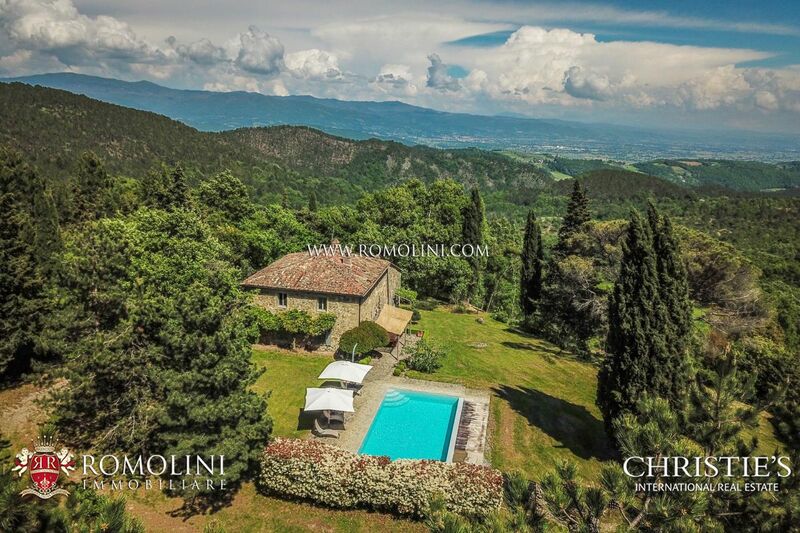 GARDEN: 2 hectares (4,94 acres) of private park surrounding the property. POOL: 6 x 12 m. With external shower. INTERIOR SURFACE: 766 sqmts of which: 526 square metres (5662 square feet) of main house, 40 square metres (430.6) of annex + 200 square metres (2.153 square feet) of development possibility. 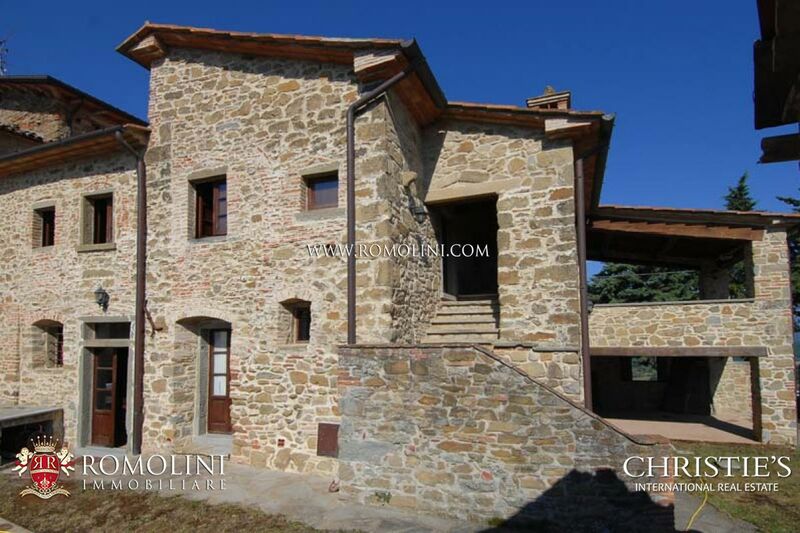 ANNEX: Yes: restored detached barn of 40 square metres disposed on two levels. 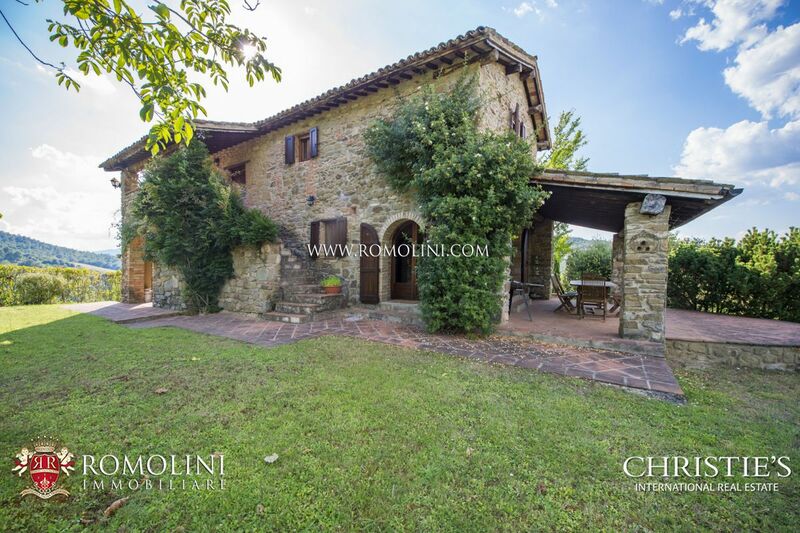 FEATURES: Old stone construction, terracotta flooring, ceilings with wooden beams and terracotta tiles, old fireplace, arches, exposed stone. 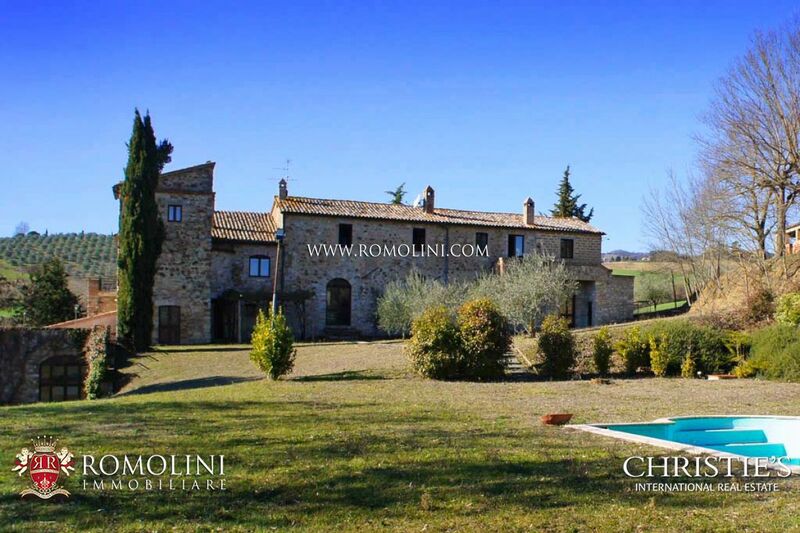 In the vicinity of a small centre and in a convenient position from where you can reach some of the most important places of central Italy, such as Orvieto (30’), Todi (1 h), Perugia (1 h 30’) and Rome (1 h 41’), ancient Benedectine Monastery dating back to XIII Century now transformed into a luxury private dwelling, easily reachable through the A1 highspeed motorway as well as from the railroad. 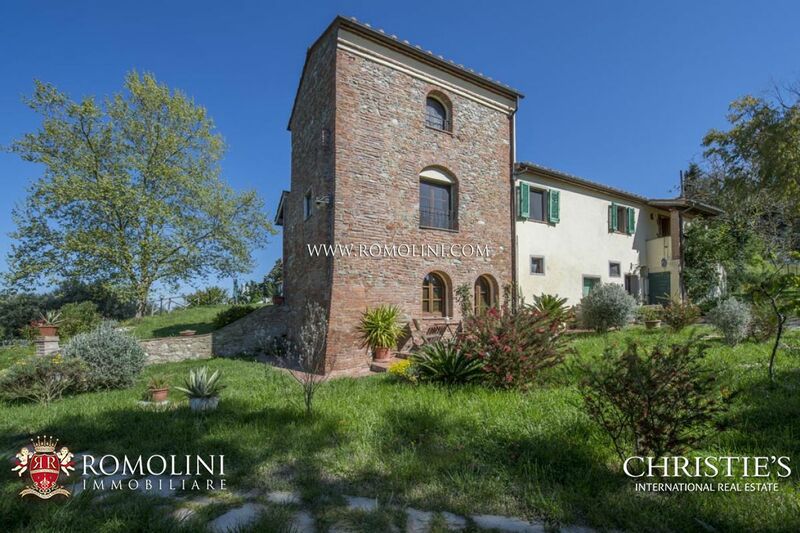 The property has been carefully renovated by the current owners, who have kept the original structure, still featuring a beautiful bell tower and some pointed arches. The main house is set on three levels, disposed as follows. Ground floor: large dining area with fireplace and direct access to the private park, adjacent kitchen with fireplace, two large living areas, bathroom, one of which has external access to a veranda with barbecue, First floor: accessible both from the ground floor through an internal spiral staircase and an external one, comprises two double bedrooms with bathroom and bath tub. Lower ground floor: accessible from an internal staircase, it is composed of two bedrooms, two bathrooms, one of which en suite and both with shower. The dependance of 40 square metres, disposed on two levels and placed half way between the main house and the pool, is comprised as follows. Ground floor: living area with kitchen and dining room; First Floor: bedroom with bathroom. 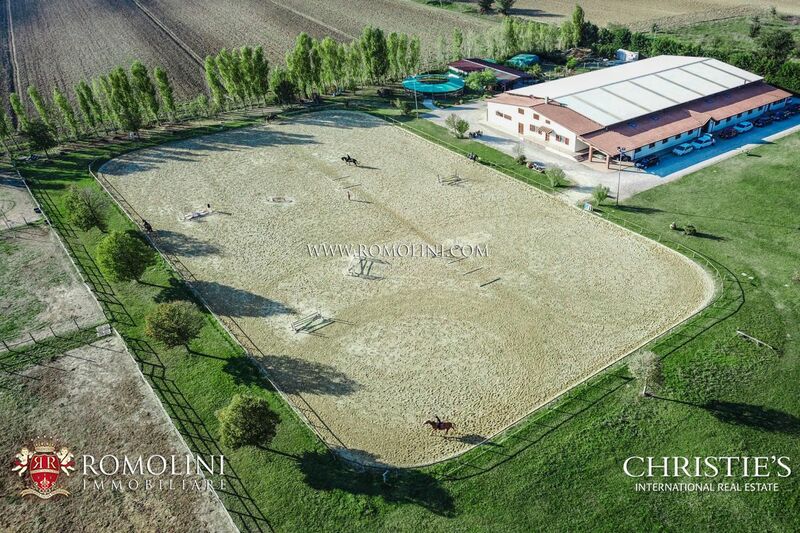 The property is surrounded by two hectares of park where the 6 x 12 metres pool is ideally located and 9 hectares of woodland with American walnut farming . 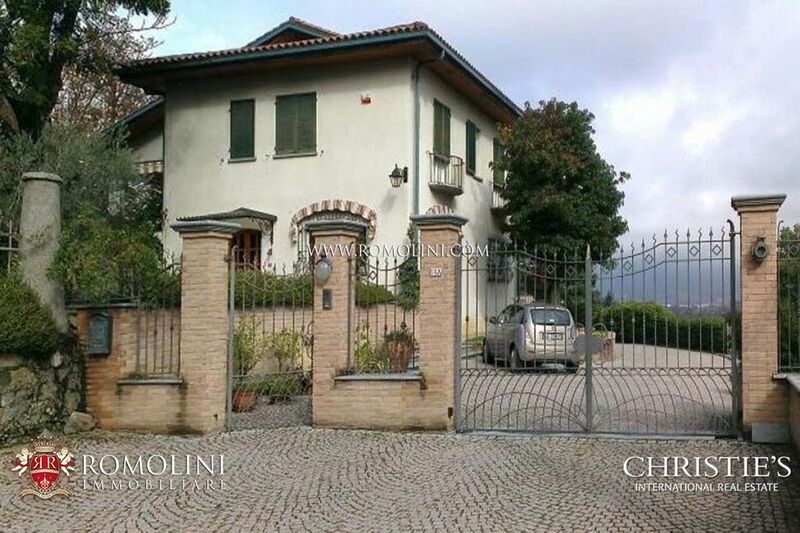 Viterbo (26km; 34’); Orvieto (28km, 38’); Todi (48km; 1h 3’); Terni (70km, 1h 11’); Montepulciano (86km, 1h 25’); Perugia (87km; 1h 32’); Spoleto (96km; 1h 38’); Montalcino (101km; 1h 53’); Assisi (103km, 1h 45’); Spello (107km; 1h 32’); Cortona (114km, 1h 32’); Foligno (114km; 1 h 52’); Gubbio (125km; 2h 5’); Roma (135km; 1h 41’). 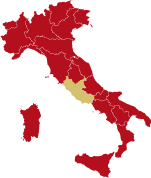 Perugia Sant’Egidio (89km; 1h 29’); Roma Ciampino (129km; 1h 37’); Roma Fiumicino (157km;2h); Firenze Peretola (197km; 2h 9’); Ancona Falconara (202km; 3h 13’); Pisa Galilei (283km, 2h 59’).